Following the recent launch of its Music Unlimited cloud based digital music service, Sony is bringing its Qriocity video service to Sony Ericsson 2011 Xperia smartphones. The launch starts on August 1st. The service will lets you buy or rent movies and TV shows from NBC, Universal International Television Distribution, Paramount Pictures, Sony Pictures Home Entertainment, Twentieth Century Fox Home Entertainment and Warner Bros, as well as local studios. All the latest releases will be available along with an extensive back catalogue. The video service will initially be available on two devices (Xperia mini and Xperia mini pro) in nine markets with localisation of content and movies – UK, France, Germany, Spain, Italy, Australia, Japan*, Canada and the United States. 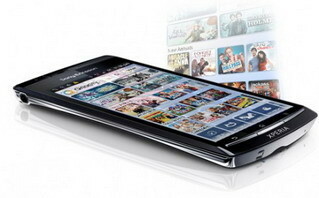 The mobile version of the video service is currently exclusive to Sony Ericsson 2011 Xperia smartphones and will be made available to Xperia arc, Xperia neo, Xperia PLAY, Xperia pro, and Xperia acro through a software upgrade later this year. The service will be available on Xperia active and Xperia ray when they launch**. The Qriocity’s video service will automatically appear on Xperia smartphones which have been upgraded with this software and users will also be able to download the video service application from Android Market. 0 comments on "Sony's Qriocity video service on Xperia phones"